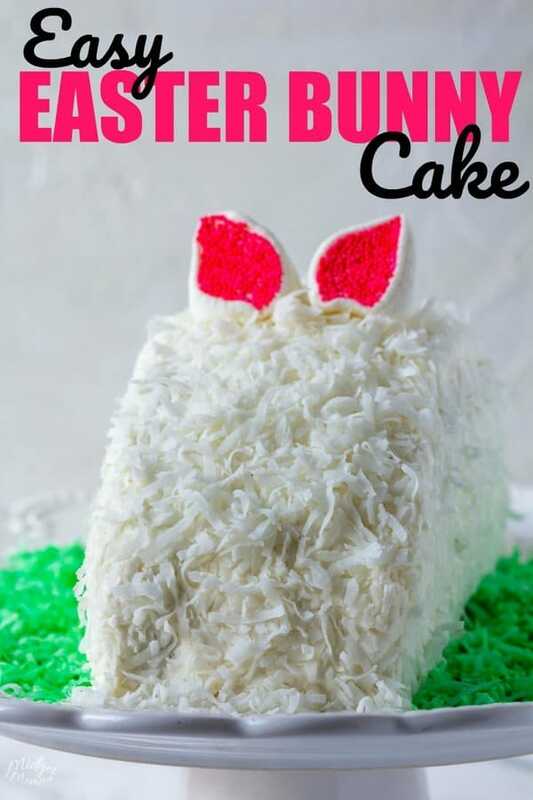 This super cute and easy to make Easter Bunny Cake is the perfect dessert your Easter Dinner. I have always seen many amazing Easter Bunny Cakes that look super cute but are totally beyond my decorating ability. 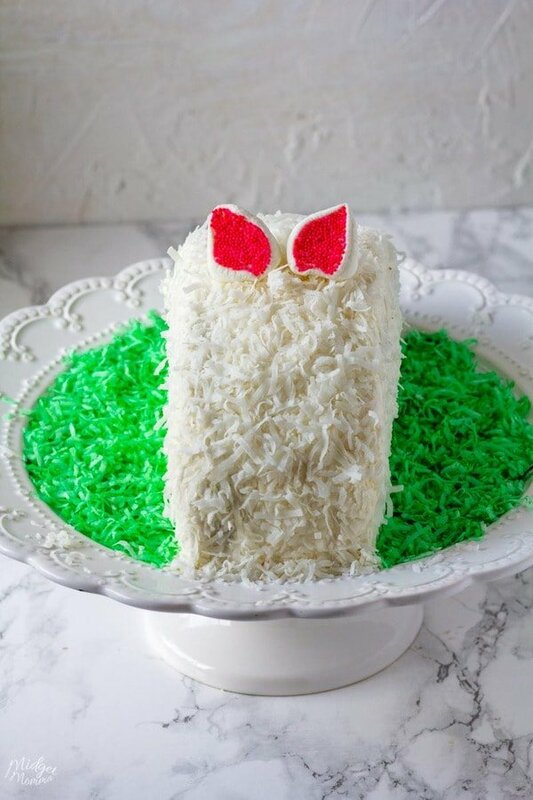 This Easter bunny cake is easy enough that anyone can make it! When you are making this Easter Bunny Cake you can make it any flavor you want to. If you are running short on time and want to use a boxed cake mix you can, but if you are doing that I suggest following the steps for how to make a box cake better, because you will end up with an AMAZING cake! 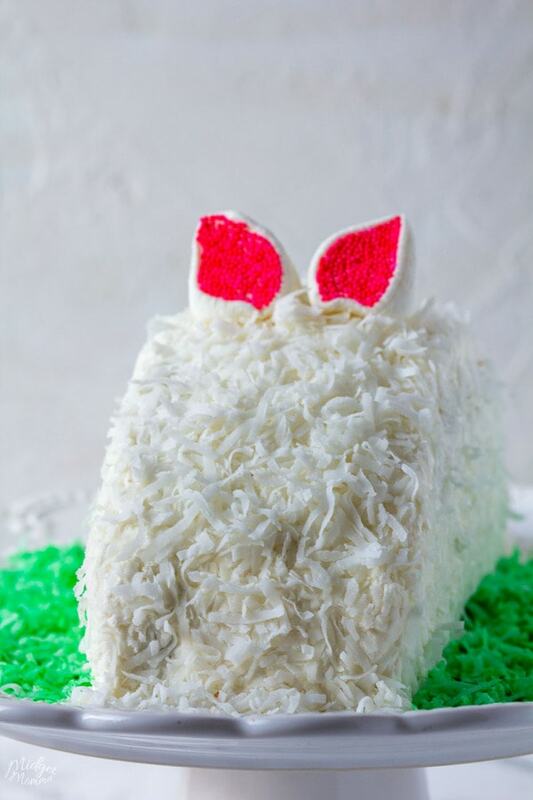 For the frosting on this bunny cake you will want to use a white frosting. There are quite a few different white frostings that are perfect for this Easter Bunny cake. The trick that makes making this Easter Bunny cake so easy is that you are going to make the cake using a normal round shaped cake pan. 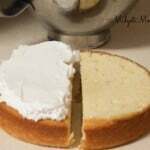 Once your cake is done baking you will let it cool and then cut the cake in half. You can easily customize this Easter Bunny with additional features, such as a face if you would like to. I personally prefer mine with just the bunny ears. Although warning, if you have a prankster like my husband, you might end up with a Hershey kiss at the backside of the bunny. (Yup, leave it to a husband to add some “extras”. LOL. When making this Easter Cake I like to add a little green grass around your serving platter. Super easy just use dyed some coconut. 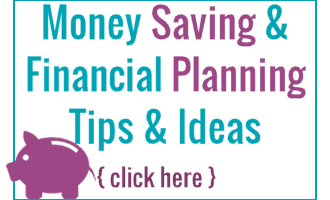 If you have never dyed coconut check out How to Dye Coconut for the super simple directions. One 8 or 9 inch vanilla round cake – either one will work. If you are adding green grass on the bottom then you will want an additional 3/4 cup of dyed coconut. 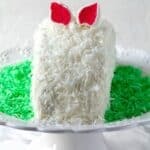 This easy to Make Easter Bunny Cake is made with one cake cut in half. 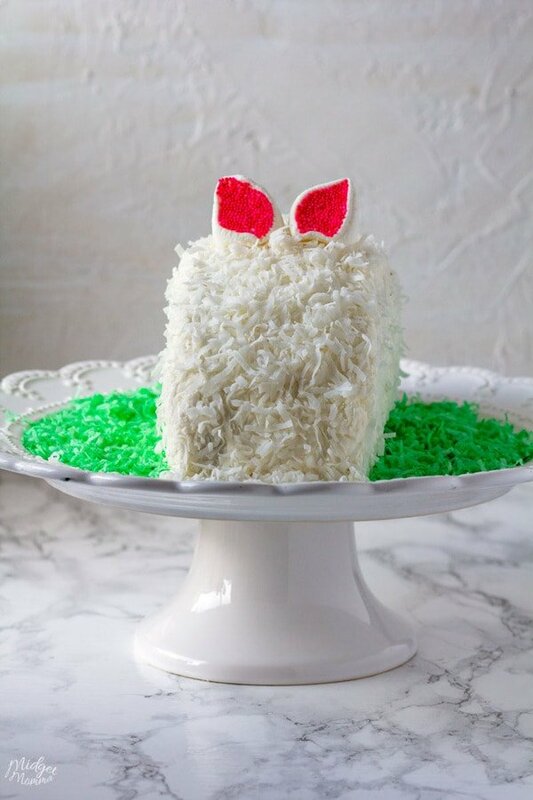 It has this great flavor and texture from the coconut bunny fur. Cut the top of the cake so it is level. Top of half of the cake with a layer of buttercream. Place the other half of the cake on the top of the other cake. Stand the cake up on its side so the cut side is now the bottom. Cover the whole cake with a layer of buttercream and smooth it out so the edges are rounded. 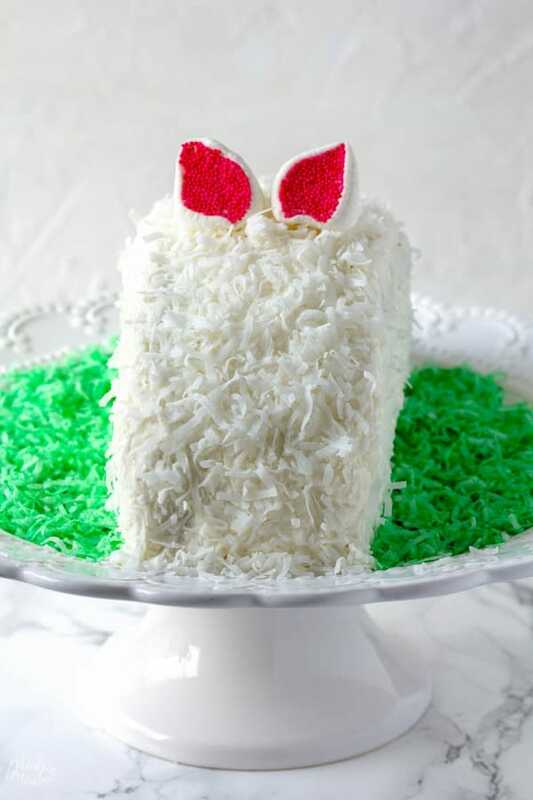 Press the coconut into the buttercream of the cake to create the bunnies fur. 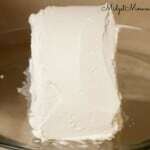 Cut a marshmallow in half and dip the sticky side of the marshmallow into the sugar. Press the marshmallows into the top front of the cake for its ears. Looking for more Easter fun? Check these out! 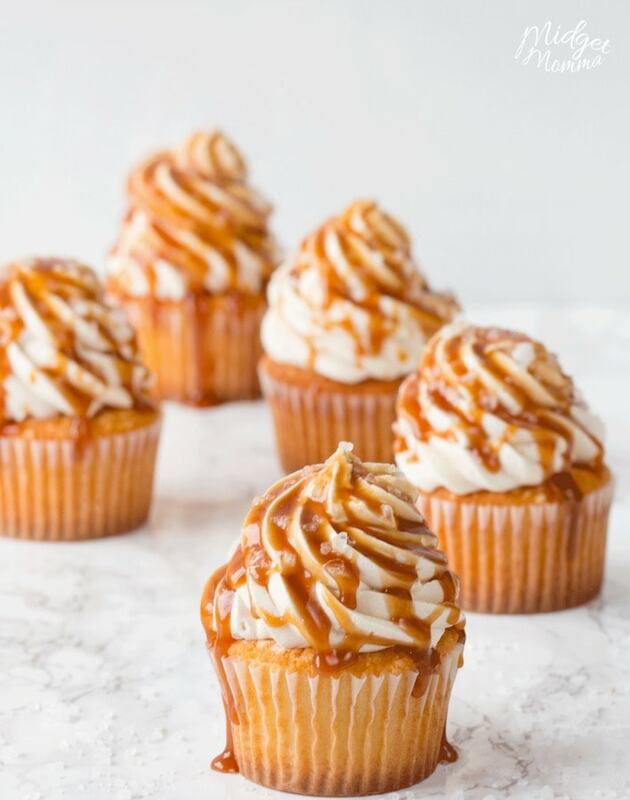 Looking for more tasty and fun cakes? Check these out!